Below is the text of the speech made by Edmund Harvey in the House of Commons on 31 March 1914. In calling attention to the inadequacy of existing provisions for dealing with the problems of unemployment, and moving this Motion, I do not wish to apologise to the House for turning its attention to a theme so different from that which we have been discussing to-day, for I believe that the peaceful settlement of that great issue which the great majority of this House desire to achieve, may be made more easy if we can realise that there are problems of vast importance to the whole country on which good men of all parties have a substantial measure of agreement; and if, to-night, this House is able to endorse this Motion, I think we shall be able to show it to the country, in order to encourage the Government to go forward in dealing with one of the greatest problems of our time. 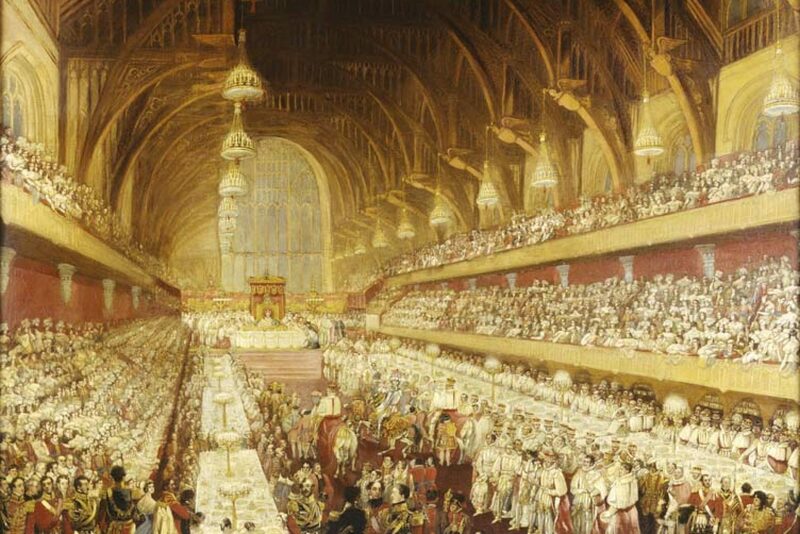 I think it was Lord Morley who once said that we could count a day ill spent in which no thought was given to the poor. I am afraid we all of us must feel that our time must stand condemned by that high test, and perhaps Parliament as a whole must feel that judgment. Yet we do know that Parliament does care for this great problem—increasingly care for it. It is encouraging that there has been on all sides so much convergence of opinion during recent years as to the methods to be adopted in approaching the problem. I am quite aware that many in this House may be dissatisfied with the contents of my Motion, because they feel that they are inadequate. I can feel that to some extent myself, but I have endeavoured to frame a Motion which will provide the greatest common measure of agreement amongst social reformers of all schools on that great question. It may be said, why are we dealing with this now? I think a moment’s consideration will show that the present, while we are still in years of trade prosperity as a nation, is just the time when we should approach this problem. We should not leave it to the time of acute depression, when hasty remedies, ill considered, are snatched at in the despair of the moment. We have to remember that during these prosperous years, when the increasing trade returns are satisfactory, there remains always a constant residuum of misery, which is a constant reproach to our civilisation. We ought never to be content while there are in our midst so many permanently unemployed. Therefore, I think that if we can pass this Resolution to-night, while we are still in the midst of prosperous years, we can encourage the Government to go forward to the lean years, which we know must be coming, with well-conceived plans. I am aware too that a vast problem like this cannot be met by one remedy. It is too great for any one proposal to meet, and it is one which needs the co-operation of all Government Departments, the best thought of the State, the best endeavour of private initiative, and of religious and moral agencies, if it is to be solved. We ought, I think, before the House turns to actual proposals for the future, to consider for a moment how we have attempted to deal with the problem in the past. We must all admit that the old method of the Poor Law has broken down. I think that is common ground in all schools of thought. The Majority and Minority alike feel that the Poor Law, as we now have it, is totally unsatisfactory as a means of dealing with the problem of unemployment. It is something to have that negative agreement amongst us. I think we should feel grateful for the experiment which was made during the last years of the late Government—an experiment which began with the scheme of the right hon. 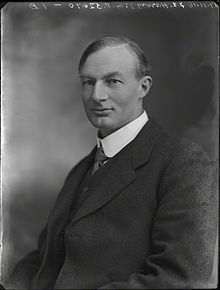 Gentleman the Member for the Strand Division (Mr. Long), the scheme which led up to the Unemployed Workmen Act of 1905. I speak with some special interest of that, because I have had the privilege of serving as a member of the Central (Unemployed) Body and also as a member of the Distress Committee. I think that experiment was useful both for what it shows could be done and what it shows could not be done, but it was distinctly put forward as an experiment and not as permanent legislation. It was limited to three years originally, and I think it is some reproach to this House that year by year it has allowed the Act to be renewed, for the most part silently, in the Expiring Laws Continuance Bill, although we knew that it was only an experiment. I think if we look at it closely we shall all agree that the system of relief works which it encouraged was unsatisfactory. They were a pis aller, and we ought to have something better. The relief works in London on which unemployed were set to work in parks was preceded by an arrangement which involved the dismissal of ordinary workpeople who would have been engaged upon that work. That was a ludicrous attempt to deal with the problem. I think, too, that we have all learnt a painful lesson as to the attempt to deal with the problem of coast erosion in hurriedly undertaken relief works. The experiment at Fambridge did not encourage work of that kind organised in the way that it was. But, on the other hand, there were points of the Act which were extremely useful, and some of which have already led to a wide extension for the nation as a whole. The Labour Exchanges began under that Act, and the work of emigration, also done under that Act, however limited, has, at any rate, been good in its effect on individuals. Yet although it is useful to the individual benefited, it is a confession of failure for the nation as a whole that we have got to get rid of persons who cannot find work here and are yet capable of doing good work as citizens in the Colonies. There were two other experiments undertaken under the Act. One was that of workrooms for women in London. They met with very severe criticism, and some of it economically perhaps sound, and yet they were undoubtedly the only other alternatives to the Poor Law. They did provide work under proper conditions, and not degrading conditions, for poor women who ought not to have been driven to the refuge of the Poor Law, which was the only other alternative, except that of private charity. There was a most interesting experiment at the Hollesley Bay Farm Colony. That, again, has been very much criticised. Part of the criticisms were due, not to the management of the colony, but to the limitations of the Act. It was intended originally that the men taken there should be trained to work as small holders and also, in some cases, for emigration, but the Act prevented them staying for more than sixteen weeks. It was not found possible, as hon. Members who are familiar with the work of agriculture will understand, in most cases to train men adequately, or anything like adequately, in that period. It was through no fault of the colony that failure occurred. As far as certain cases were concerned, very useful results were achieved in training for emigration. In almost all cases there was a remarkable result in the improvement of physique in the men who went there. They went there underfed and injured in morale, and regular employment, fresh air, and wholesome diet made a very great difference to those men. On the other hand, there were defects, inherent also in the Act, which necessarily prevented their training being what one would have liked it to have been. It was not found possible to provide adequate technical training. I think in some ways life was perhaps a little too easy in that it might have been better for the men if a course of work could have been arranged in addition to the manual work out of doors. Worst of all, I think, when cases occurred of slackness or of lack of discipline, the only penalty that was possible was a penalty that fell, not on the men themselves, but on their wives and families. The only penalty was to send a man away back to his home in London, and that penalty fell heaviest on the innocent wife and family. That, I think, must be clearly a case to be remedied in future. We have not stopped fortunately at the Unemployed Workmen Act. I think we must in approaching this problem recognise some of the other steps that have been taken since the Act was passed, and notably the Labour Exchange Act and the Act providing for unemployment insurance. The House all welcomed two weeks ago the admirable statement of the President of the Board of Trade in response to a universal demand from all quarters that there should be an extension of the provisions for unemployment insurance to other trades not at present insured. We were very grateful for his sympathetic speech and for the attitude of the Government which he represents, and I think to-night, although I do not want to enlarge on it, we ought to reaffirm the decision come to on the Resolution moved by the hon. Member for Barnard Castle (Mr. A. Henderson), and urge the Government to go forward now. This is not a small matter, because we know that the whole actuarial basis of the scheme for unemployment insurance is based on the insurance beginning while trade is still good. Therefore if there is to be an extension of this Act during the next six or seven years, it must be made now if it is to be actuarially sound. We ask therefore that the Government should be bold and should enlarge the Act as far as it is possible in these years of prosperity. I know that it will be very difficult to enlarge it to other trades in a few years time, until the cycle of prosperity has come round again. I mention in this Motion the grave problem of under-employment. We can never neglect that when we are dealing with the question of unemployment. We believe that the machinery of the Labour Exchanges in the years to come will help by the readjustment of labour to lessen that problem, but it is one which has to be faced by our Statesmen, and as to which we look to the Government for guidance. Then we have to deal also with the question of trade cycles, and seasonal, and especially cyclical aspects of trades, which we can hardly prevent, but the hardship of which we believe to some extent, by wise foresight, can be mitigated. Here, again, I think we must express our indebtedness to the action in past years of the President of the Board of Trade. He was one of the first, I believe, to recognise the importance to the Nation of wise foresight in the planning of municipal and national work in time of prosperity, so that we should not put forward all that work while trade was good, but reserve necessary work for the season of depression. In connection with this let me read to the House an extract from the evidence given by Mr. Bowley to the Poor Law Commission. It puts better and in fewer words than I could the whole statement of the case:— In round numbers it may be estimated that 200,000 or fewer able-bodied adult males are out of work from non-seasonal causes one year with another, and have no sufficient resources, and that this number fluctuates between 100,000 in the best year and 300,000 in the worst. … There is consequently need in the worst year for wages to the extent of £10,000,000 to bring it to a level with the best, so far as those men are concerned; for the whole of the last ten years £40,000,000 would have sufficed. The annual wages bill of the country is estimated at £700,000,000. … Is it possible for the Government and other public bodies who employ labour in large quantities to counteract the industrial ebb and flow of demand by inducing a complementary flow and ebb; by withdrawing part of their demand when industry needs all the labour it can get, and increasing the demand when industry is slack? To have a useful effect, this alteration would have to be commensurate with the stun named above (£40,000,000 in ten years). Surely that is a problem which ought to be capable of solution by us as a nation. When we remember that £150,000,000 is spent annually in public works and services, excluding pensions and interest on debt, it ought to be possible by wise adjustment to meet the demands made in that statement by Professor Bowley. When we see the example set by the great Government Departments in this matter, I think we shall feel that as a nation we are to blame. In the two great spending Departments of the Army and Navy there is a constant demand, roughly speaking, regular from year to year. It ought surely to be possible for those Departments to arrange the work in such a way as to meet the cyclical need and, to some extent, the seasonal depression also. It would be a very great help to industry if that could be done. In the giving of orders for clothing and boots, and the new works of construction by the great Departments, both the cyclical and the seasonal periods should be considered. But the matter concerns other Departments also. The construction of new post offices in different parts of the country is always going on, and, as far as we can see, without any relation whatever to the seasonal or cyclical changes of trade. Another great Department which is expanding under the care of the President of the Board of Trade is that of the Labour Exchanges. I am glad to say that hitherto in years of prosperity very little has been done to provide permanent accommodation, but I hope that during the years of prosperity sites may be chosen and plans made for suitable buildings, if we are to have, as I hope we may, Labour Exchanges which shall be centres for trade union activities, as well as for their own work, providing, at nominal charges, meeting places for working people, friendly societies, and trade unions, as in Germany. When we get large public works undertaken to meet that need, it will be for the benefit of the whole nation, and they might be constructed in seasons of distress, unemployment, and trade depression. There are also the great Government Offices shortly to be put up in Whitehall. While the plans may be hastened forward now, the actual construction can be postponed until times of greater need. The Local Government Board has done much in the past to stimulate public opinion in this direction. It has issued circulars in times of depression, pointing out the need for this action on the part of municipal authorities. I would ask that they should go a step further. Municipal authorities look to the guidance of the Government, and if we could have a regular demand made upon municipal authorities by the Local Government Board for the planning of work with this end in view, we should do a great deal; and if, in addition to that, the Local Government Board would issue year by year a separate Report—it might be very small, simply a few pages— stating how municipal authorities throughout the country had been making these plans for work, and what steps had been taken, we should be bringing into force the greatest of all engines—the force of public opinion—to urge local authorities onward to do their duty in this respect. I come now to the last part of the Resolution, which, unlike the earlier parts, can be met in large measure only by legislation. It can, however, to some extent, be met even now. If legislation is to be satisfactory, it should be based on careful preparation by an Interdepartmental Committee. Any system of graded institutions and colonies touches not only one Department, but a number of Departments in the State. It must necessarily deal with the great problem of vagrancy, which is a Home Office question. It must deal with the products of our prison system. It must deal with the products of our existing workhouse system, which we hope to see replaced by something better. It must also be in touch with the authorities of the Board of Trade. I hope, therefore, that in the preparation of legislation, some such Interdepartmental Committee or Commission may be got to work. We have already before us many suggestions. My hon. Friend the Member for Montrose Burghs (Mr. R. Harcourt) and my hon. Friend the Member for Merthyr Tydvil (Mr. Keir Hardie) have brought in measures of a far-reaching character on this subject. It may not be possible at present for the Government to go to any extent as far as those Bills suggest. But there are certain measures which command almost universal assent, and I think that to that extent we may demand early action. It seems to be agreed that, sooner or later, we must have some form of detention colonies for dealing with the most difficult case of those, whom I am 10th to call unemployable, who come under the existing vagrancy law. It is very easy for us to deal with these unhappy products of our present civilisation in a selfish spirit. I do not want to see them dealt with merely in a spirit which would sweep our streets clean of sights which distress the feelings of the comfortable and well-to-do. We owe a debt to these men, even when we may feel that there is moral wrong which has brought them to the position which they now hold. We must not shut them up in a place like Merxplas, in Belgium, leaving them to themselves in a penal institution which is almost an Inferno. We want an institution which shall be in the true sense of the word a Purgatorio, with a way up to the highest place of all, with a door always open leading upwards. Although there may be detention for a time, it must only be with the object of reform. The experience of Belgium shows that small colonies, even of this class, must be better than larger ones. We do not want to see a place like Merxplas with 6,000 inhabitants. I would rather see places like the smaller Swiss and German colonies. I hope we may not content ourselves with the discussion of this very difficult problem, but that we shall also affirm the need for a system of graded training institutions which will be necessary as the stagnant pool of labour becomes clearer under the action of the Labour Exchanges. As casual labour is to some extent decasualised there will be a large residuum left which will have to be dealt with in one way or another. These men deserve to have honourable training, with no stigma attaching to it, given under conditions which demand and expect the best. The training institutions which one would like to see must be of a variety of types to suit differing needs. We shall have to have a great deal of experiment before we can arrive at a satisfactory system. But there are obviously certain things which they can do. A great number of our under-employed and unemployed labourers at one time possessed industrial skill. Graded institutions might aid such men to re-acquire the skill which they once possessed. It might also aid men who had specialised in some department of work which had become obsolete owing to trade changes to learn some other branch of a trade that they had really made their own in the past and which was slipping from them. Apart from these questions, and these special cases of readaptation to industrial environment, training institutions might fit everyone who went into them to be more adaptable and more alert, and might give back the stamina and strength some of these men had lost. I hope, also, that we shall have in the future a system of rural colonies and agencies. Foreign experience has shown us that this can be useful, at least to a limited extent. British experience in voluntary experiments has shown the same thing. We have, unfortunately, too few of them, and they are very inadequately supported. The Salvation Army made their experiment at Hadleigh. The Christian Union for Social Service has made theirs at Lingfield and Wallingford. I believe the Church Army has a small experiment, and there are other agencies, churches, and societies that I believe would come forward to under- take a work of this kind if they could get some encouragement and some more adequate financial aid than is at present forth-coming. I would ask the President of the Local Government Board if it would not be possible for him, even now, without waiting for a new Bill which would, I know, be requisite before the State could undertake institutions of this kind itself, to make provision for a Grant-in-Aid, this year, if possible, for institutions of this kind, which might begin with a small sum, but which would be extremely useful as an experiment. I hope when he considers a Bill to deal with this question, he will consider the possibility of a half-way house between a State Detention Colony and the present Voluntary Colonies. It ought to be possible for men of weak will who have sunk and gone under in the industrial struggle to he willing to place themselves under voluntary guardianship for a limited period. That is already being done with success in the case of inebriates asylums. There are many cases of men unemployed who have gone under, who recognise their own moral weakness, and in their better moments will be anxious to be thus under restraint to a limited extent in order to recover their morale. I think that ought to be possible under a voluntary system of colonies. Before concluding, I should perhaps say a word as to the financial possibilities involved. I believe that the average cost in British prisons at present is something like £23 per inmate. In convict prisons it is £27 per head. Our small British colonies for the unemployed are a lot more expensive. Hadleigh, I think, costs £48 per inmate per annum. Although I believe Lingfield is less expensive, it is still more expensive than the prison. But these experiments have only been working a comparatively short time, and under very unfavourable condition. They have had, when supported by Poor Law guardians, very inadequate Grants paid to them on behalf of the inmates. The foreign colonies, which have been working much longer, have been able to reduce the expenditure to a remarkable extent. I believe the average cost of administration at Merxplas, which is very largely self-contained, is £9 per head, and the German colony costs about £10 per head. This is reduced by the average earnings of the inmates to £6 per head. It ought, therefore, to be possible in the future, under wise management, to have a very economical system of colonies. They will always cost something to the State—and I think they should! We have to remember that the men who are there would be costing something anyhow. In the worst cases they would be preying upon the community as vagrants; in the case of the unhappy unemployed person, who is unemployed through no fault of his own, there is a constant indirect charge upon the State. If through his unemployment he sinks clown into crime or goes ultimately to the hospital with disease, he is a further charge on the State. It would be a wise economy on the part of the community to prevent this. Finally, I think we ought to ask the President to encourage voluntary effort in this work, because it would enlist new forces of enthusiasm in aid of the very poorest in the community. I believe that the churches of this country would come forth and take up this work, and that men outside the churches would band themselves together for it, too. If this work is to be done well, it depends upon getting the very best men and the very best women to give themselves to it. It would be worth while making a generous Grant in order that you might have not only efficient administration in Colonies like these, but an admirable educational work done there too. It would be a very great thing for the State if we could re-enlist in its service, and in the service of the whole community, those noble religious forces which in the Middle Ages expressed themselves in various guilds and in the furtherance of works of mercy. We want to get the same spirit showing itself in caring for, in colonies and institutions, the unemployed and the unemployable, and those who through no fault of their own, through sickness, blindness, and accident, are unable to make their own way in the battle of life.